Moms (and dads) of teens. This is written for moms, but I sure have seen my fair share of emotional papas who find senior year to be bittersweet on their hearts, too. 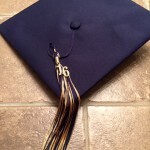 Read this or bookmark this to read before or during your child’s senior year in high school. It just may be therapeutic for you. Because something unexpected happens to a lot of mothers during this final year of school for your child. Something a pal told me about. She said that senior year is the worst! But in a good way. With a lot of cheers. And some unexpected tears that may take you by surprise when you least expect it. Senior year is hard on your heart, but in the best way. Bittersweet heart warmth and heartache. Mostly all year long. I wrote this two years ago and when I read it again (and think about next year for me when my last-born will be a senior), I feel that heart tug all over again. Two years later I am happy to report that we have survived and thrived! Getting to this is horribly wonderful for the Mamas. Me two years with my now college student. I miss him….and life is alos good. The natural progression. We survived the emotional roller coaster of senior year, dorm move-in and all that comes with this big life change. And my son is thriving in college. Hooray! Prepare to feel a little crazy at times. Prepare to feel a bit bewildered by your changing emotions and your kid’s emotions, too. You may think you are feeling PMS, hormones or maybe perimenopause. But read on because it is a phenomenon that I am so glad my friend told me about before it happened to me…during the nine months that make up a child’s high school senior year. Yeah, that 9 month thing is ironic! But first let’s talk about your kid. This is your child’s big year. The year that their senior year of high school arrives. And since my child’s senior year is rapidly coming to a close, I feel like I am now experienced enough to write this piece and to share this insight with you. It is your son or daughter’s special senior year. 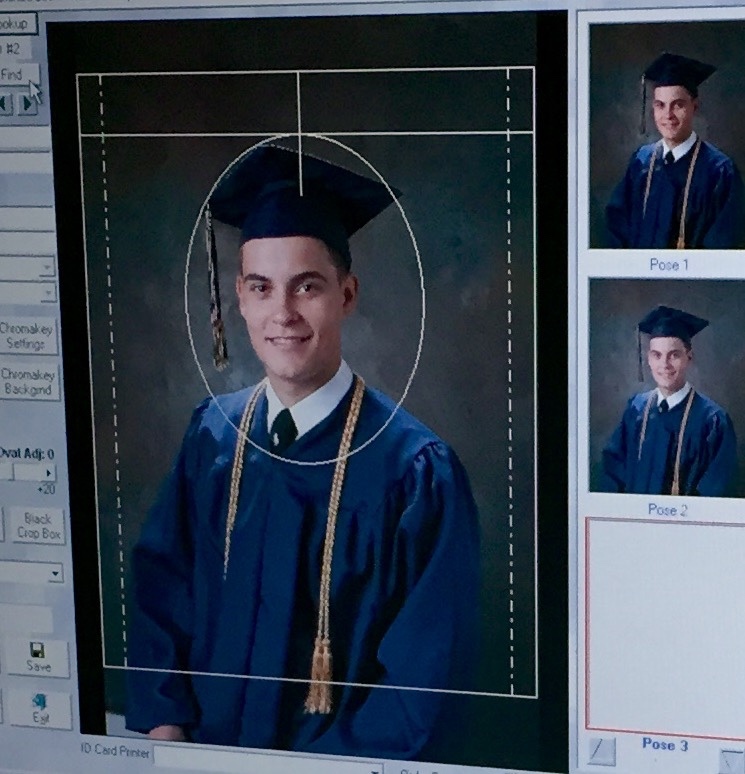 And a lot of milestones and busy work come with that final year of high school…. College apps….lots of work for your kid…you have been warned! Senior nights when moms are recognized and appreciated. 18 year immunizations and those medical records that must be sent to colleges. FAFSA college form…not fun! Again you have been warned. Designing and ordering the graduation announcements. And many more moments that I am forgetting. And at last graduation and move out day. 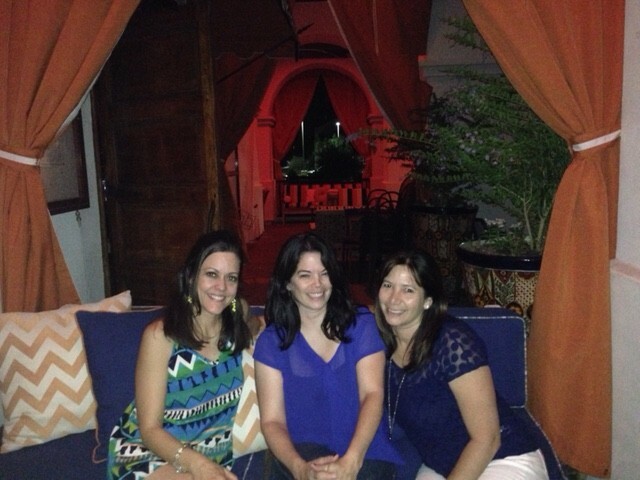 And for you…..a surprise. Unexpected tears months before those milestone days arrive. And sometimes no tears at all…even at a moment where tears are expected. 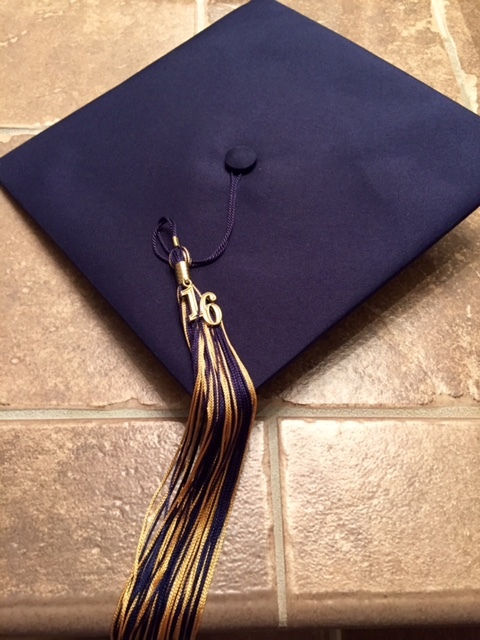 You think it is only going to happen on graduation night but I’ve got news for you mommies about facing your child’s senior year. Kind of like labor, the nine months that make up that senior school year is filled with emotion as you once again help your child to prepare to enter the world. And this time around it is the real world, not the cozy world of a new Mother’s arms. But a world with Mommy’s arms gently pushing that baby of yours out of the nest. I haven’t decided yet who this is hardest for, the child or the mother. I will get back to you on that, but my hunch so far is that it is harder on the Mama. Lucky for me, I was warned about this motherly phenomenon of unexpected grief and tears ALL throughout senior year over a glass of celebratory wine last summer with my gal pals, Amy and Melissa. We went to dinner to toast and cheer the big event that they had both just experienced, the graduations of their firstborns. Me about to join this club…the moms of high school graduates. I sat wide eyed sipping my wine listening to their experiences. I was thinking about my firstborn, my son who had just finished his junior year in high school. I asked the gals all about the big day, the graduation. And about the day that they moved their sons to the dorms, too. I expected tales of giant tears and tight hugs with an extra squeeze from the emotional mothers on those two big anticipated days. 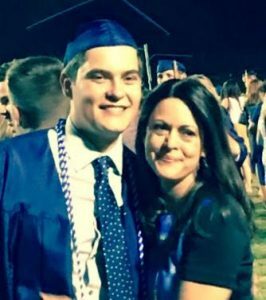 I didn’t think about the nine months leading up to graduation day and how much the mom feels. I figured that all happens on graduation night. So I asked the gals all about the big graduation day. How they felt. Their answers surprised me. And prepared me. There were tears on that big day they told me, but then Amy said something that I want to share with you. Amy gave me some insight that I hadn’t thought of before. Some of the days and months that fill the year, those nine months leading up to the big graduation (and soon after the move out day) are actually more painful than the big day itself. MORE painful. I hadn’t thought of this. She said that senior year is the worst! In a good bittersweet and emotional way. What?! I hadn’t considered that I would be celebrating AND mourning ALL year long. Now with my boy’s graduation day a little less than two months away, I get it. I really get it. It has been true for me. I am so glad that Amy explained this. So a few months later when my own unexpected tears sometimes trickled down quietly, I remembered Amy’s words. And at other times when the emotions poured out (and couldn’t always be hid from my bewildered boy), I remembered again what she had shared with me. Thank you Amy! Senior year is the worst! And the best! And I’m not crazy to have these see saw emotions. It is not my crazy hormones or perimenopause. And it is probably a little confusing for your kid, too. Whether or not they admit that to themselves or to you. You may even notice that your child pulls away a bit more than usual and is a bit grumpy with good ol’ mom at times. My belief (and my mommy intuition tells me, which I have come to trust after 18 years of this parenting gig) is that this sometimes hurtful behavior is also normal. That my child is preparing to leave the nest, so separating from Mama may be a subconscious way of preparing. After all as anxious as we are, it has to be somewhat scary, even for the most adventurous and confident kid. Don’t you think?! I do. Even if they don’t show that and some do, but others keep quiet about their emotions. 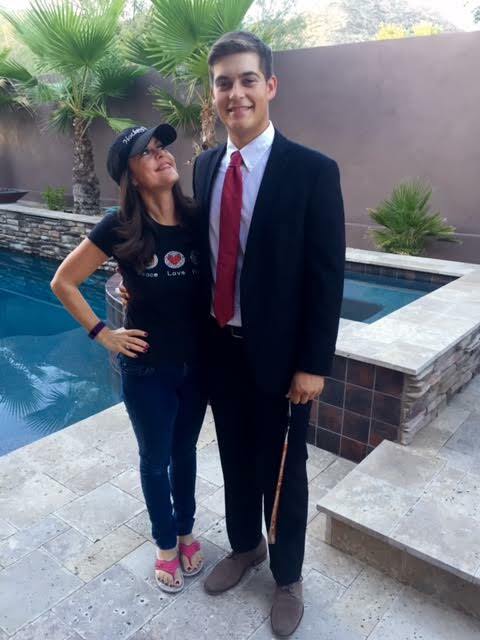 However the good news is that the loving and fun moments outweigh the tough ones, as that 17 or 18-year-old does celebrate the many milestones of senior year with Mom. Well most of the time anyway. Sometimes they want a little space. I get it. But back to this Mom’s roller coaster emotions. Funny thing. Some predictable moments didn’t make me tear up at all. Like the day the cap and gown pictures were taken. No tears. Not sure why, perhaps because those pictures are done right after junior year ends so it hadn’t really sunk in yet. I mean graduation was still one whole year away. But I’ve got news for you. Senior year flies by! The fastest one yet, in my opinion. I also didn’t cry when the boys gave their mothers flowers at the season ending Varsity golf banquet. What’s wrong with me, I thought? Why am I not tearing up? And a big surprise is that I didn’t cry when I was called out to the ice to accept flowers from my 6’1 strapping hockey player son. Hockey has been a part of our lives with our boy since he was a little wide eyed 5-year-old. But don’t be fooled. If this happens to you and tears don’t come at expected times, just wait because that lump in your motherly throat happens. And it happens more than once during that incredible and very busy senior year. Because you see I did end up tearing up on the ice. It just wasn’t at the moment that I expected. 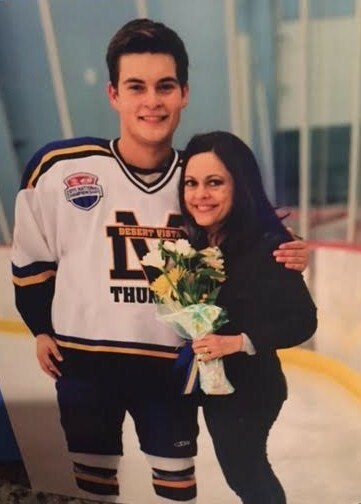 I hurried off the ice so the next mother could have her moment, but I almost choked on the lump in my throat! I didn’t see his embrace or his kiss coming and it rocked. It rocked my motherhood galaxy. And there have been other unexpected surprise tears along the way. Just like Amy warned me about. The first day of the new and final hockey season back in September. After 14 years of hockey, I figured I was ready to hang up my hockey mom hat this season. But the moment that I plopped that worn out old hat on my head, tears enveloped me. I didn’t see that one coming either and it took my whole family by surprise! Fortunately, I had my tears under control by the time we took this picture. Then we left for the very first game of the very last season. Yep more quiet tears as we drove there. Thank goodness Amy had warned me about this so I could reassure the family that I was OK. It is normal because senior year is the worst. In a good way! And more recently there was that day that I realized that it was time to email far away family the graduation plans. I kept putting off writing that email until my sweet Mother-in-law asked me about sending it out. I told her that I was excited to write it and didn’t understand why I kept delaying the email. Then I realized why and I said to her, “It is time, isn’t it?” and she softly replied yes as we both understood my quiet tears that spilled over to her end of the phone. Happy tears and sad momma tears of putting the process of letting go into actual words that was emailed to loved ones. Putting it in writing makes it official. Cue lump in throat. And the day that the actual cap and gown came in. My son asked me not to cry (and he sounded serious like it was going to maybe annoy him….pesky teenagers!) so I made sure that I didn’t shed one tear when he tried it on. I unintentionally saved the tears for later when I went to the dry cleaners to retrieve the nicely pressed gown. Still doing just fine. Until I placed it in his closet. Where it sits now waiting to come out soon, very soon, to take him across the graduation stage and into the next big chapter. I didn’t see those tears coming either that hit right when the hanger hit the rack. But time to get it under control again. The clock is ticking so quickly now. I have left before me one last Prom picture session, graduation day and dorm move in day. Those teary moments that come and go throughout senior year have helped to slowly prepare me for the inevitable and yes, very exciting, next step of letting go. A little like labor pains I guess. Those unexpected senior moments helped me to prepare. Each tear cleansed my weary AND happy heart to cherish the past and embrace the future. HIS big new future. And yes you will feel both weary and wonderful at the same time. Because senior year is the worst. In a good way. You have been warned. Buy a big stock of Kleenix at Costco before senior year starts. Then keep those tissues handy and embrace it, sweet beautiful Mamas! You earned every one of those bittersweet tears.